Aus einer Mail von der Frackingliste: … einer Unterzeichnung des Briefes von Abgefrackt steht bestimmt nichts dagegen – das ist es doch, was wir wollen, eine Ächtung von Fracking! Liebe Alle, die UN-Arbeitsgruppe Menschenrecht und Business wird im unten angefügten Brief aufgefordert/gebeten, zu prüfen, ob Fracking gegen die Meschenrechte verstößt. Eine internationale Arbeitsgruppe hat diesen Brief beim dänischen Institut für Menschenrechte vorbereitet. Wir werden gebeten, diesen Brief mitzuzeichnen. Wer dies tun möchte, – so wie ich das jetzt lese – sind gefragt: Initiativen, Verbände, alles was Rang und Namen hat, bestimmt aber auch wir alle – möchte dies mit allen Angaben zur Organisation… Jorge Daniel Taillant mailen. – und natürlich über alle Kanäle weiterverteilen. I am contacting you in hopes that you can sign on to this initiative and circulate to your friends and contacts for their support as well. I’ve been working with some great colleagues, including Josh Fox, Director of the movie Gasland and Paloma Muñoz over at the Danish Institute of Human Rights to prepare this letter addressed to the UN through its Working Group on Human Rights and Business, in hopes to push the UN to examine fracking for impacts on Human Rights. A very big deal! We are hoping to garner as many significant co-signers as possible by January 10th, at which point we will submit the letter. We hope to obtain representatives of key organizations, organizers, business leaders, campaigners, human rights defenders, and other notables! If you can sign, please reply to me with your agreement to sign along with any institutional affiliation. Also, please circulate the letter to your colleagues and lists! We contact you with a growing global human rights concern due to the evolution of socially and environmentally high-risk corporate activity called hydraulic fracturing. Hydraulic Fracturing, or fracking, is a recent but rapidly evolving industrial process carried out by the oil and gas industry. It consists of drilling into the ground, injecting water, silica, and toxic chemicals deep into layers of rock (shale, tight sands or other hydrocarbon bearing formations) at very high pressure, creating cracks in the geology that release oil and gas trapped in the rock. Unlike conventional oil and gas operations, fracking employs voluminous quantities of fresh water. It also generates large quantities of liquid toxic waste for which there are no adequate safe disposal facilities. Fracking waste, which can be radioactive, is injected underground at industrial injection wells, which either leak, are back flushed into surface water, or are simply buried into the ground at fracking sites or landfills, all of which generate human and environmental safety risks. Since concern over fracking operations began to surface around the world over the past decade, over 600 peer-reviewed scientific studies and thousands of journalistic reports have shown that fracking causes significant adverse social and environmental impacts. These include numerous environmental impacts such as water contamination, air pollution, earthquakes, deforestation, contamination of surface and groundwater by fracking chemicals, hydrocarbons, petroleum waste products and radioactive waste, as well as land scarring, and impacts to wildlife areas. Fracking is also responsible for significant social impacts including noise pollution, property value decreases, increased traffic accidents and deaths, rapid industrialization of residential areas, community fragmentation, negative boomtown effects and community fragmentation. Most worrisome are the human health related impacts of fracking, which include very dangerous health related impacts such as respiratory illness, nausea, skin irritations and birth defects. The most notorious documented fracking studies come from the oil and gas industry itself, showing for example, that burst and cracked underground cement pipe casings, which allow fracking fluids and hydrocarbons to contaminate underground sources of drinking water, happen at staggering rates. Five percent of all oil and gas wells leak immediately upon drilling and nearly 60% leak after a 30-year period, according to one well-known oil and gas company’s study of leakage. The Society of Petroleum Engineers recently found that 35% of all oil and gas wells in the world are currently leaking. Fracking operations rarely engage stakeholders in decisions regarding land-use and the expansion of operations, including into indigenous lands. In some cases, fracking investment decisions are made under secretive negotiations and communities face brutal police repression when trying to engage in investment decisions. Globally, the cumulative impact of fracking is also profound. Despite industry claims that fracked natural gas will help to address climate change by replacing other CO2emitting energies, the inadequacy of technology currently employed in fracking operations emits large quantities of fugitive methane into the atmosphere. Considering that methane gas is approximately 72-100 times more potent as a greenhouse gas than CO2, fracking is exacerbating climate change, not mitigating it. Evidently, fracking impacts place virtually all human rights at risk, including the right to health, the right to water, food, land, property, a healthy environment, self-determination, work, a decent standard of living, and access to information, access to justice, as well as to freedom of expression and participation. Even the very essential and most basic human right to life is at risk from fracking activity. In view of these risks, many governments, including in Texas, New York, Colorado and Vermont, as well as countries like France, Bulgaria and Germany, have taken a cautious approach to the industry. After lengthy consideration and numerous studies, they have either banned or decided to suspend fracking operations until further information on the social and environmental risks and impacts is available. Despite risks, other governments have cut corners in developing their energy policy, plans, and investments, failing to consult with stakeholders, including denying consultative and participatory rights to indigenous peoples, while companies have failed in their due diligence procedures to identify, assess and address the human rights dimensions of this industrial activity. 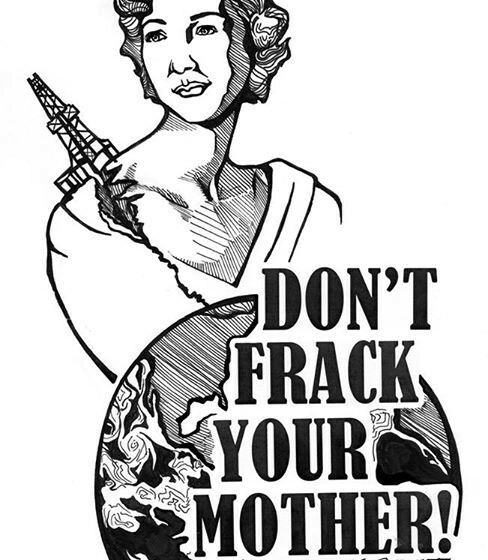 The purpose of this letter is to bring the issue of fracking to the attention of the UN Working Group on Human Rights and Transnational Corporations and Other Business Enterprises, and to call on the Working Group to engage its focus on the potential human rights violations caused by business practices conducting hydraulic fracturing operations. 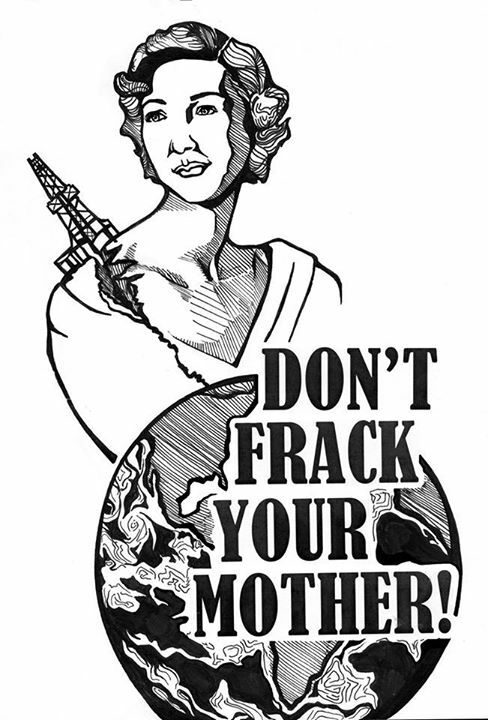 We would like to stress that fracking is of paramount significance to the mandate of the Working Group, given its profound implications to the realization of human rights, including in relation to the State duty to protect, the corporate responsibility to respect, and the rights of victims to access effective remedy. Fracking operations, including exploration and extraction activities, are on the rise across the globe. As this practice evolves, human rights issues will continue to be at the center of local conflict and debate about its evolution. For this reason, now is the time for the Working Group to engage, to acquire knowledge about the practice and its human rights implications to understand the risks it poses to human rights, and most importantly, to help guide society to address these impacts before they materialize and to remediate them once they have occurred. We stand ready to assist you in this endeavor. EHRA. Environment and Human Rights Advisory. A Human Rights Assessment of Hydraulic Fracturing for Natural Gas. 2011. McKenzie, R. Witter, L. Newman, J. Adgate. Human health risk assessment of air emissions from development of unconventional natural gas resources. In Science of the Total Environment. 2012.